Governor Gretchen Whitmer is determined to greatly increase the number of Michiganders in possession of post-high school degrees and she is bringing in the right personnel to do it. Starting March 11, Brandy Johnson (MPP ’07), preivously the executive director of Michigan College Access Network (MCAN), will join the Whitmer Administration as a policy advisor for postsecondary educational attainment and workforce development. “I’m thrilled to put my master’s degree from the Gerald R. Ford School of Public Policy at the University of Michigan to good use, and to focus on a student-centric lens that aligns with Gov. Whitmer’s agenda,” said Johnson in a press release announcing her transition to the new role. 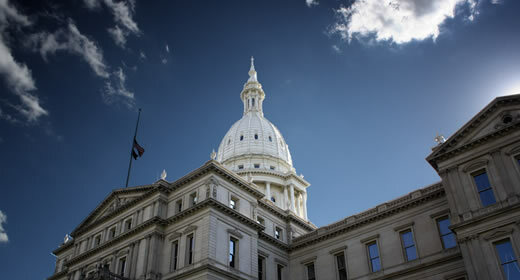 During her first State of the State address, Whitmer announced a goal that 60 percent of Michigan adults have post-high school degrees or certificates by 2030; Johnson’s efforts will focus on achieving that goal. Johnson was a first-generation college student, who went on to teach third grade in a low-income neighborhood. After graduating from the Ford School, she served in the Governor’s office as a college access coordinator before joining MCAN as its founding executive director in 2010. Johnson has received numerous awards for her work on increased college accessibility. In 2013 Johnson received the Michigan Champion for Children by the Michigan Association of School Administrators; in 2014 she received the Executive Leader of Excellence award from the National College Access Network. Johnson was awarded the Centennial Award for Excellence by the American Association of Collegiate Registrars and Admissions Officers in 2017. Read more about Johnson’s in Ron French's March 4 article in Bridge Magazine.